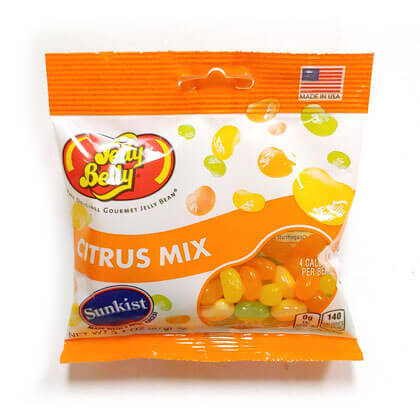 Jelly Belly Sunkist Citrus Mix contains the flavors Sunkist lime, Sunkist pink grapefruit, Sunkist orange, Sunkist lemon and Sunkist tangerine. Best of all, the Citrus Mix is an excellent source of Vitamin C! Gluten-free. 3.1 oz peg bag.